City Hunter based from Popular Japanese manga with same title from author Tsukasa Hojo. Lee YoonSung (Lee MinHo) works at the Blue House's National Communication Network Team and received his Ph.D at M.I.T. Kim NaNa (Park MinYoung) is a bodyguard at the South Korean president's residence, the Blue House . Na-Na lost her parents by car accident since than she made a living by doing part time jobs. She became a bodyguard at the Blue House and she falls in love with Lee Yoon-Sung. Dahye (Hara) the president's daughter, a spunky young lady who failed to get into college the first time and is studying to make up for it. *hugs* I'm SUPER DUPER EXCITED FOR THIS DRAMA~!!!!!! I'm glad she's been active, Kara news has been running slow lately. thank you for your effort Yoo..
anyway, we'll support her, Hara, hwaiting!! KARA's eldest unnie Park Gyuri will sing City Hunter OST to support her dongseng Hara's acting debut. 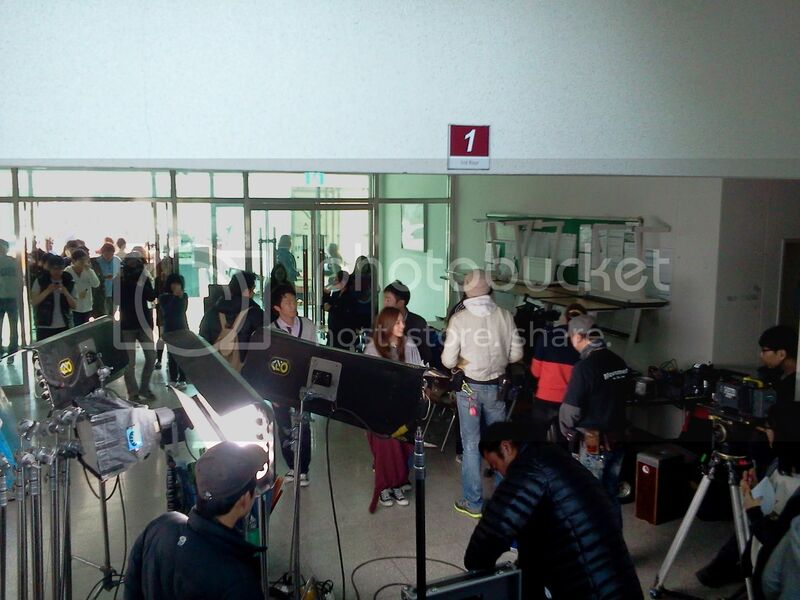 KARA Goo Hara has been casting for SBS Drama City Hunter in March and she also filmed her first scenes on May 9th. Hara has acted in Sitcom and Japanese drama uraKARA already but this is the first time she acts on Korea drama. But uraKARA actually is also a type of sitcom so in fact, this is her first acting debut. And Gyuri has her own way to support her dongseng Hara. She will sing City Hunter OST to give more energy/power to Hara on her first drama. One manager of the drama revealed "Park Gyuri will sing City Hunter OST. Besides Gyuri, we planed that Rainbow could do another song." it will be a big hit ! 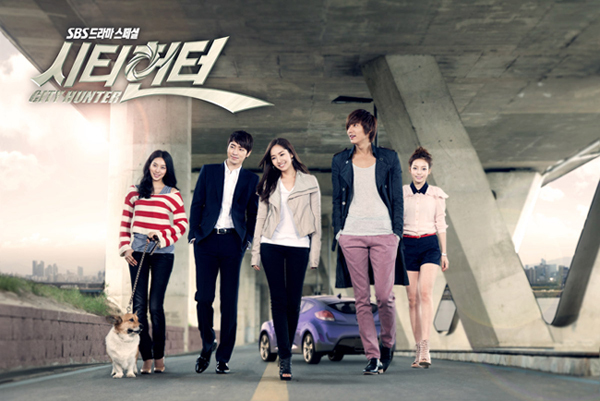 woo~ i'm super excited about City Hunter! Hara on a Korean drama...wow! I'll support Hara! Go Hara~! >>>And Gyuri to sing the drama's OST...great! And Rainbow also? Haha! Excites me more! usually i'm not too fond of a drama. but i'm expecting this one. we know how much hara loved acting, and i'm pretty sure she must be very excited for this one herself. she already showed her capability several times. i'm happy that gyul sing an OST for this one too,though i have some complain that i won't write it here. but really,what i longed for is for HARA HERSELF to sing an OST too!!! cmon, hara is the only one left who didn't have any solo songs from the 6 members.. i know hara isn't the best singer,but i loved her voice so much. can't HARA have the same opportunities, pretty please?????? Can you give us some synopsis of the drama.. What its about.. Thanks.. Hope it will gained a lot of attention..
woohoo great news! hara in a drama! i know right.. that is my concern too..
usually idol who casted in drama, it means either 2.
they gonna miss a lot of the group's activity or it means there won't be any groups activity soon enough. btw,if, just IF, suddenly HamColeJing make an unit group within KARA. I really can't wait~! I WAS SOOOO SUPER EXCITED when I heard she was going to be in this drama. I wasn't even going to watch it but then I'm totally not missing a single episode! Besides Hara's acting in this drama. Now Gyu omma will sing Ost also. One of must watch drama this year~!!! Subunits at a time like this would just result in more chaos. (: I really hope for a Korean comeback, but seems like they will be on solo activities for a while.